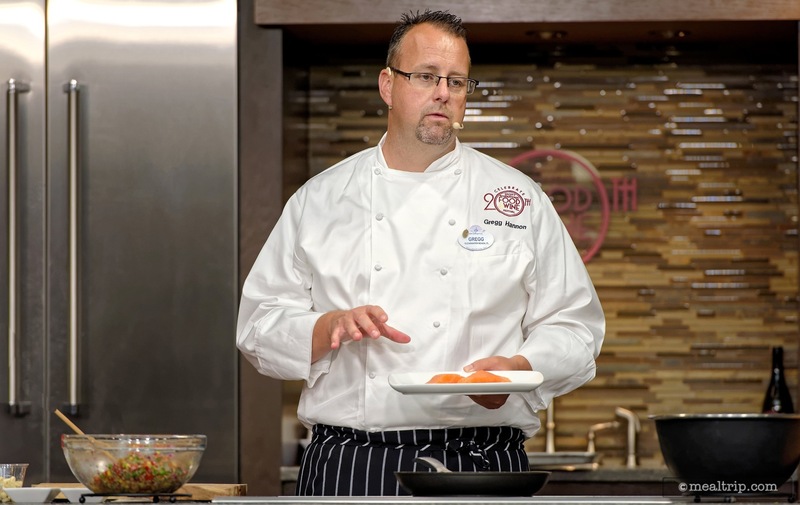 The Culinary Demonstrations listing is a Special Event dining location at Epcot Food & Wine Event Reviews featuring Wine, Beer, Spirits or Beverages, Small Plates and Tapas Style cuisine. There are 35 photos in the Mealtrip photo gallery for this location and dining period. 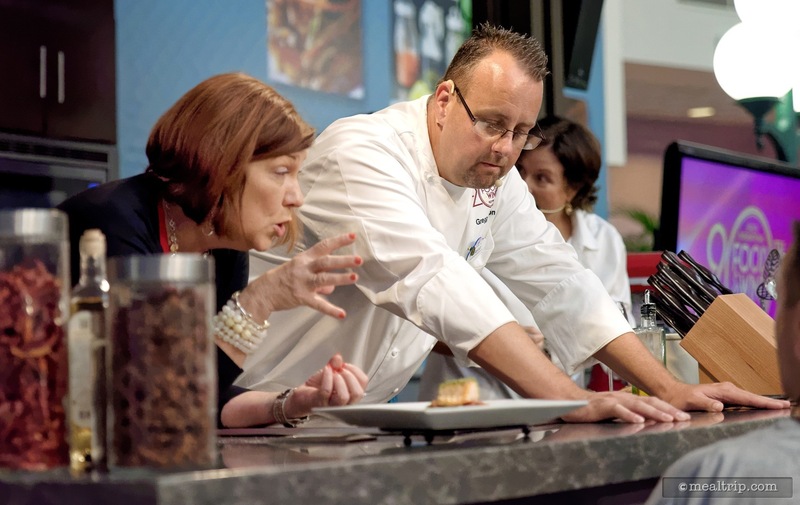 The Culinary Demonstrations listing currently has a score of 78 out of 100. 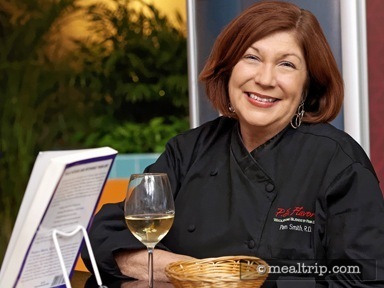 Click here to read all of the reviews for this location, or log in to Mealtrip.com to add your own review for Culinary Demonstrations. 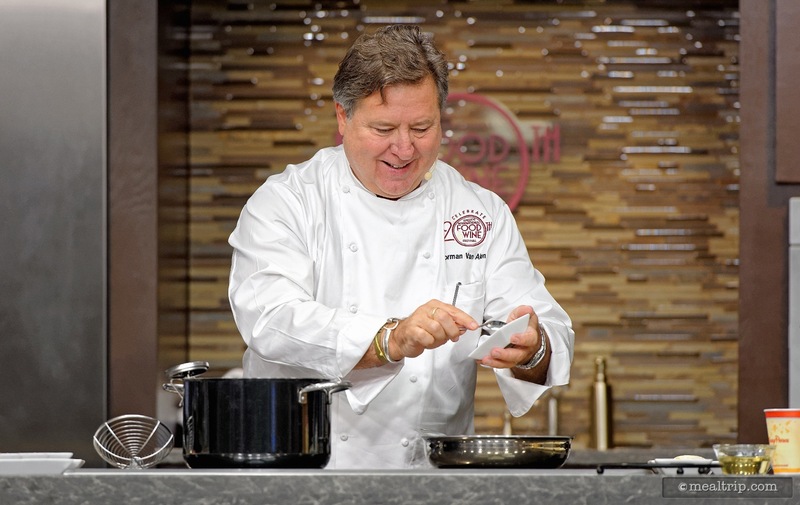 Chef Norman Van Aken prepares his amazing "Little Jon's Pork Empanadas" at a 2015 Culinary Demo. 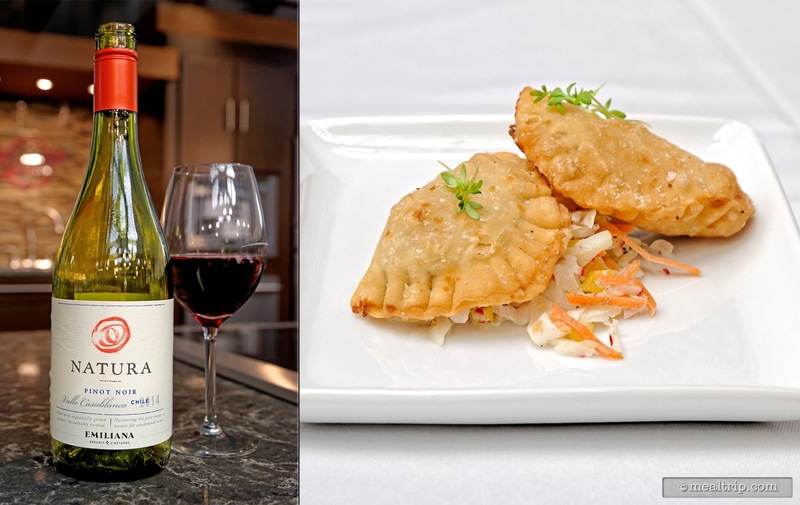 Chef Norman Van Aken's Pork Empanadas were served with Emiliana Winery's Natura Pinot Noir at a 2015 Culinary Demo. 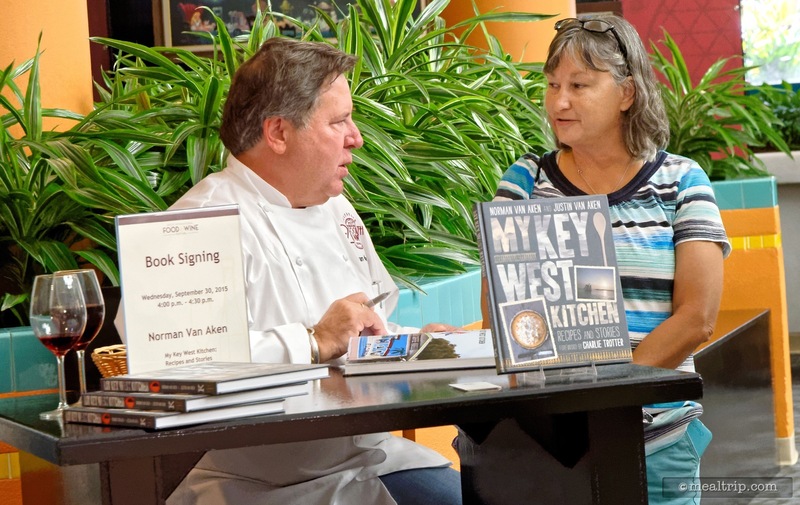 After the culinary demo, many chef's take time to meet with guests and sign books or recipe sheets. 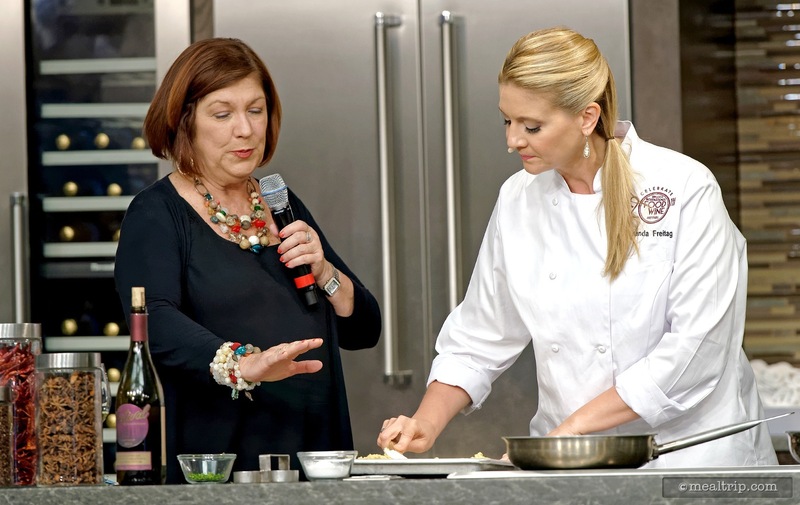 Chef Amanda Freitag and Pam Smith at a 2015 Epcot Food & Wine Culinary Demo. 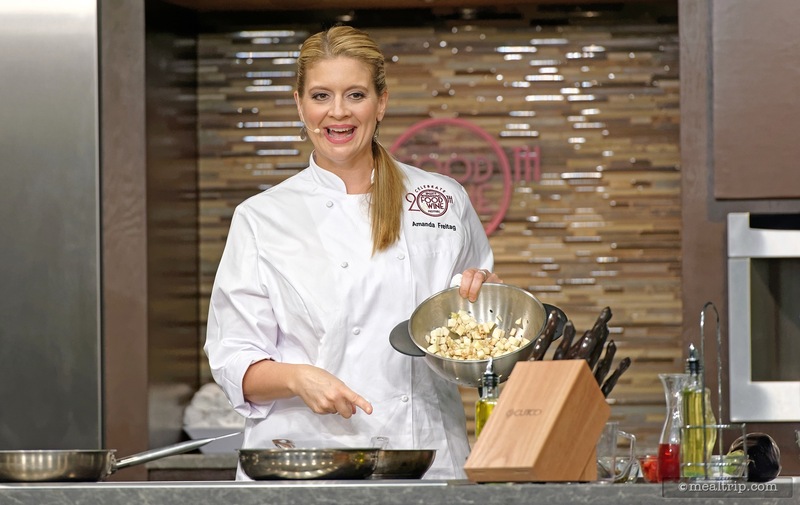 Chef Amanda Freitag at Epcot. 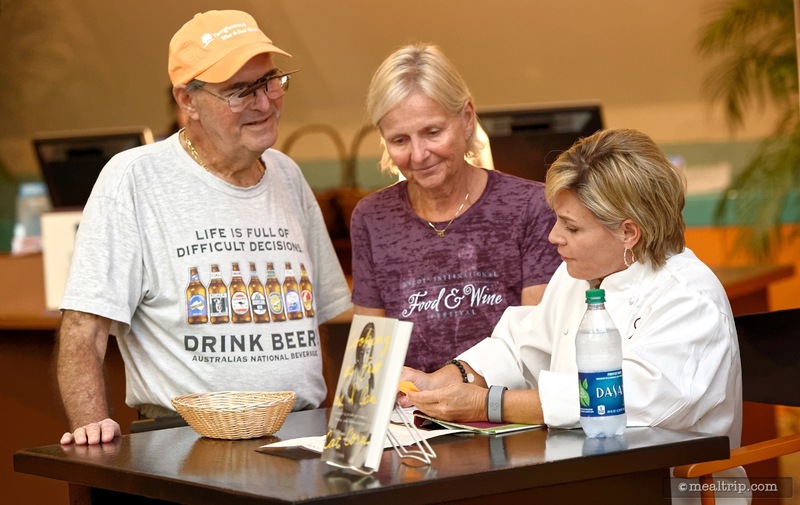 After each of her culinary demos, chef Amanda Freitag spent time with guests, autographing cookbooks and taking a few photos. 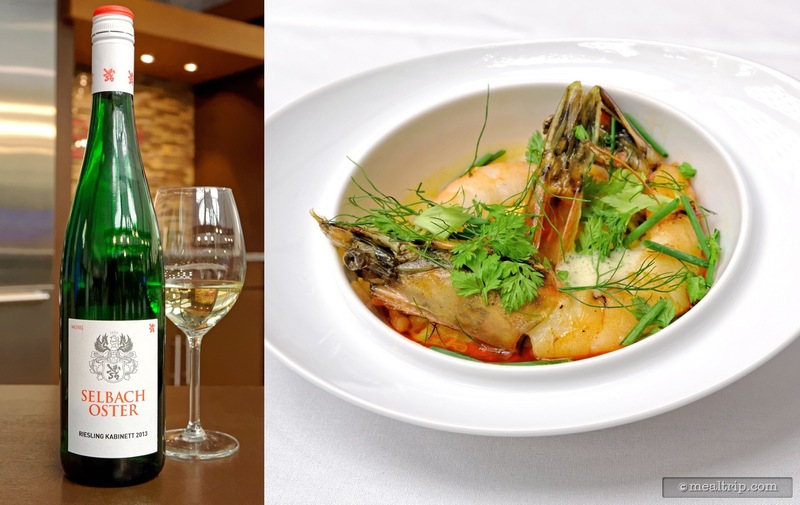 Bryan Voltaggio prepared this Smoked Shrimp and Grits dish (this was the portion size that was served to each guest), which was paired with Weingut Selbach Oster's Riesling Kabinett. 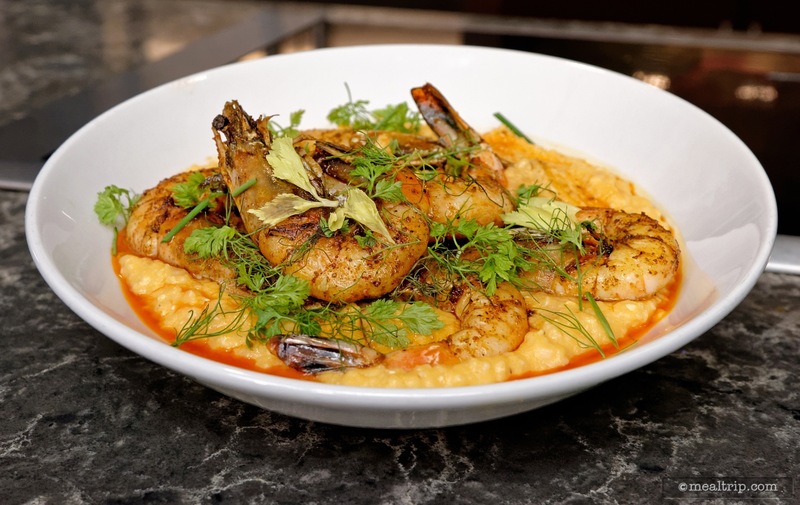 This larger dish of Smoked Shrimp and Grits, was the portion that chef Bryan Voltaggio was preparing on-stage during his culinary demo. 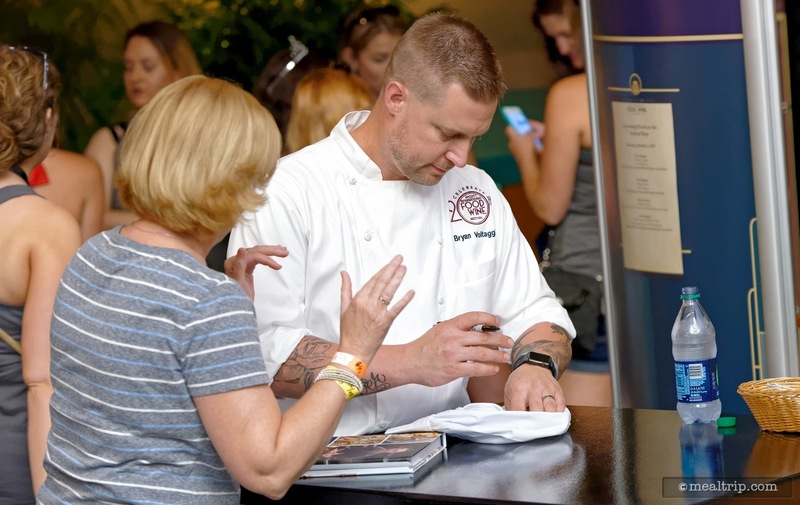 VOLT's Chef Bryan Voltaggio takes time to meet with guests after one of the Epcot Food and Wine Festival Culinary Demos. 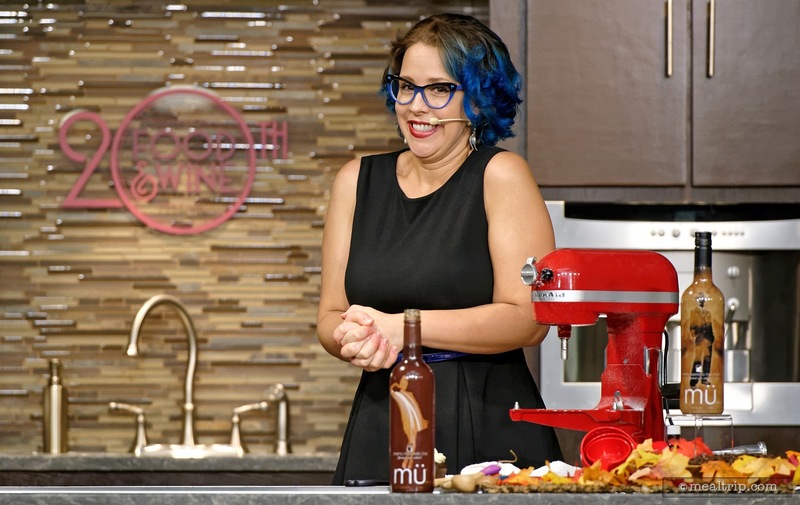 The always amazing Iron Chef Cat Cora stops by for a Culinary Demo at Epcot's Food and Wine Festival. 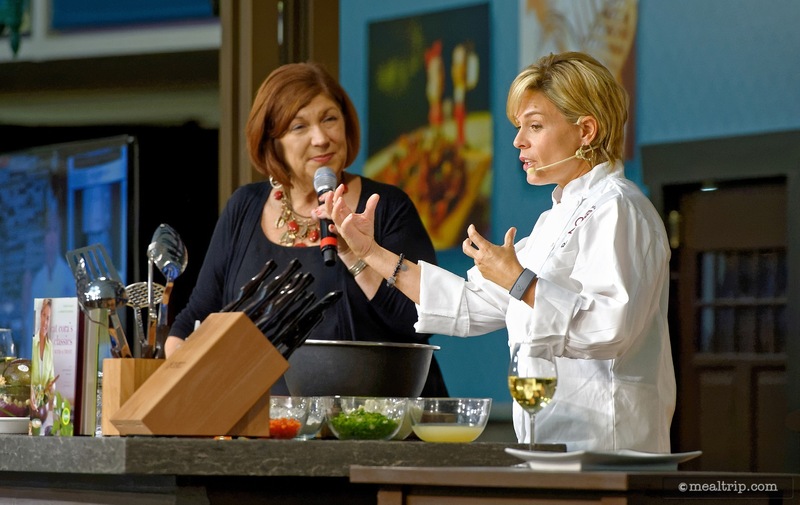 International Chef Cat Cora talks a bit about her experiences while cooking her dish at Epcot's Culinary Demos. 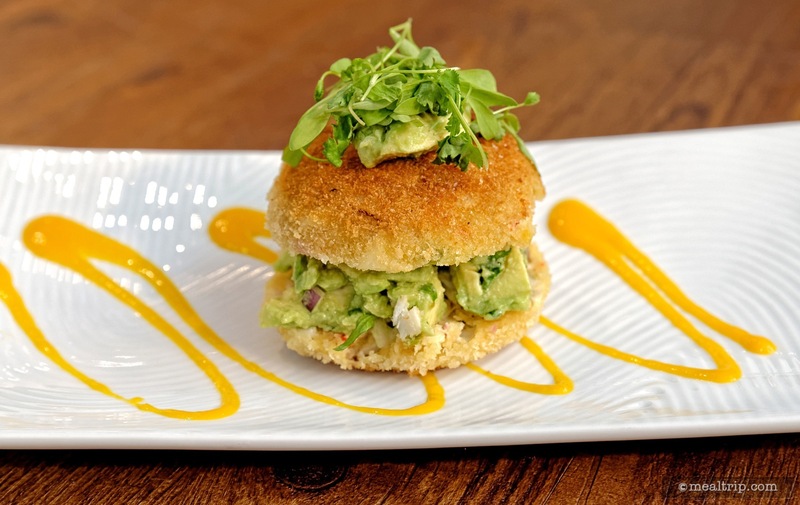 Chef Cat Cora prepared these amazing Crab Cakes with Avocado Salsa and Mango Coulis at her 2015 culinary demo... it may look like a burger, but it's not! 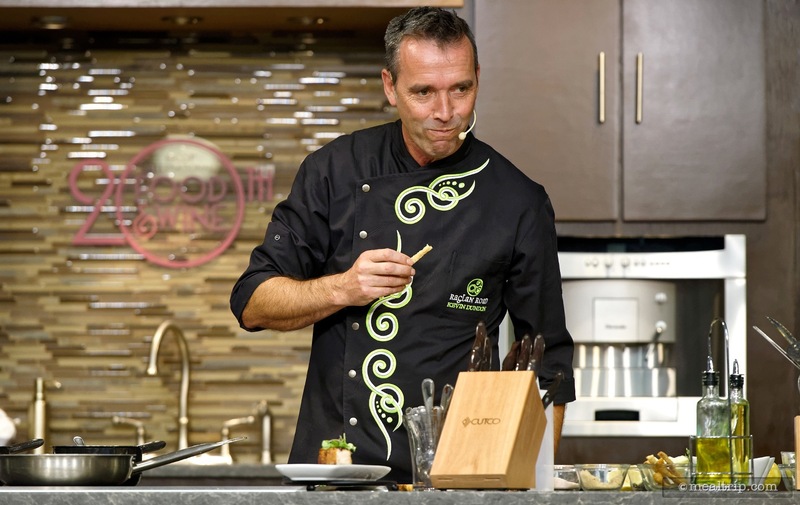 Chef Kevin Dundon is often associated with Raglan Road and is also owner of the Dunbrody Country House Hotel in County Wexford, Ireland. 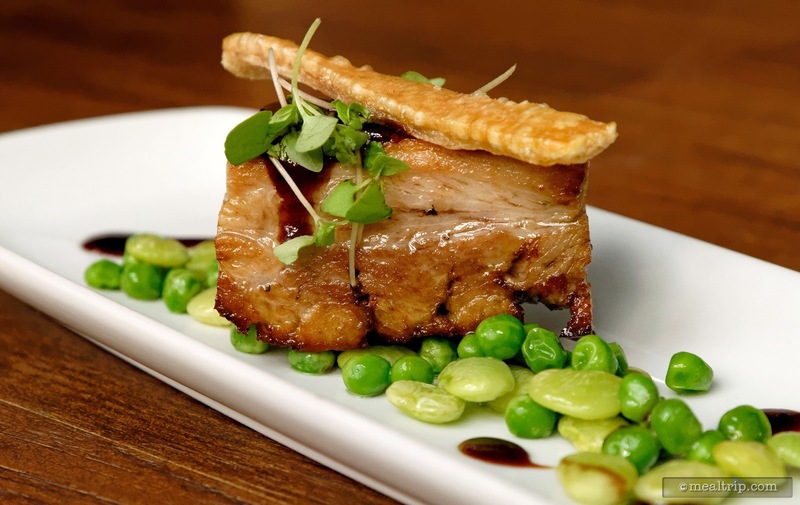 Chef Dundon prepared a Lemon-cured Pork Belly with Balsamic Gel, Garden Peas and Broads Beans for the 2015 Culinary Demos at Epcot's International Food and Wine Festival. 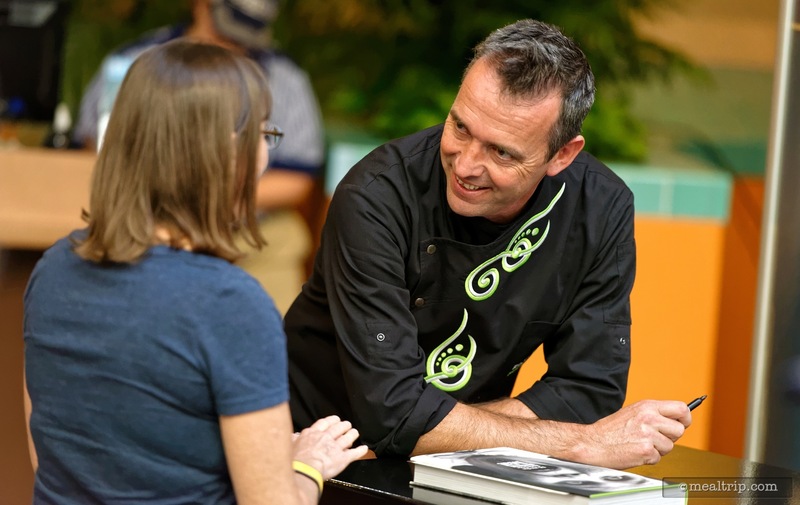 Chef Kevin Dundon meets with guests after the Culinary Demonstrations that are part of Epcot's Food and Wine Festival. 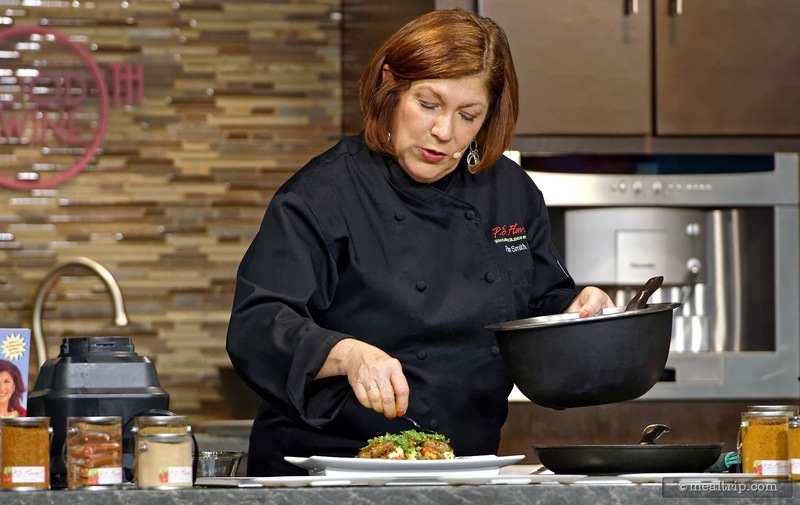 There's a reason that Pam Smith's culinary demos are so popular... it's because the food is amazing! 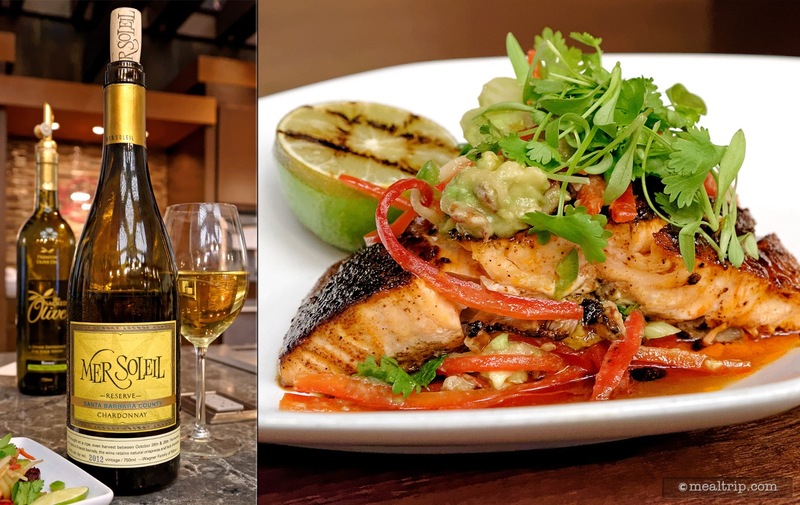 On her first demo of 2015 Pam prepared a Chile Lime Rubbed Salmon with Apple and Red Pepper Slaw, which was paired with Mer Soleil's Sliver Unoaked Chardonnay. 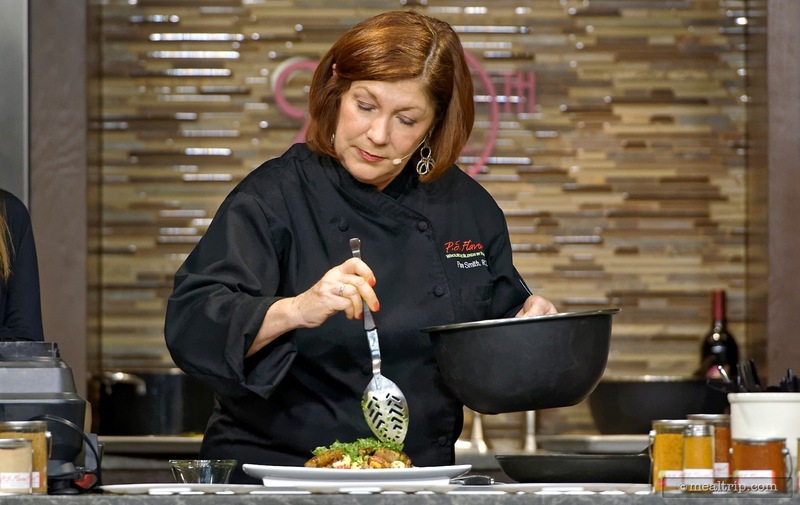 Pamela Smith RDN, Festival Host, Culinary Nutritionist and Author gets to cook at a few of the culinary demos each year, and food is always amazing! 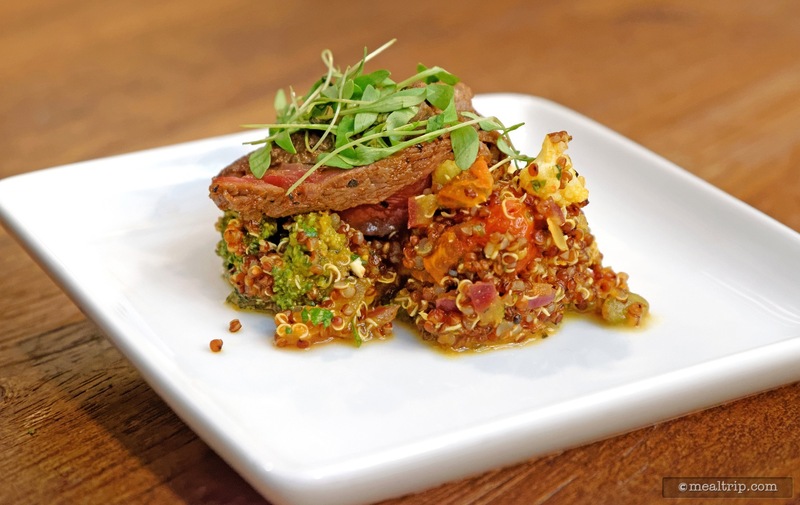 Festival Host Pam Smith prepared this flavor packed Pan Seared Adobo Filet with Chimichurri and Roasted Vegetable Quinoa. 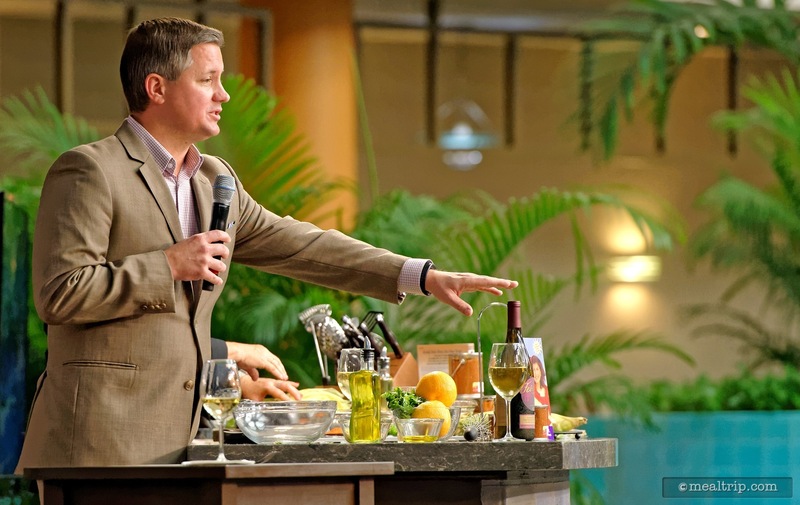 Every now and again, a beverage representative will join the demo to talk about the wine begin served at the culinary demo. 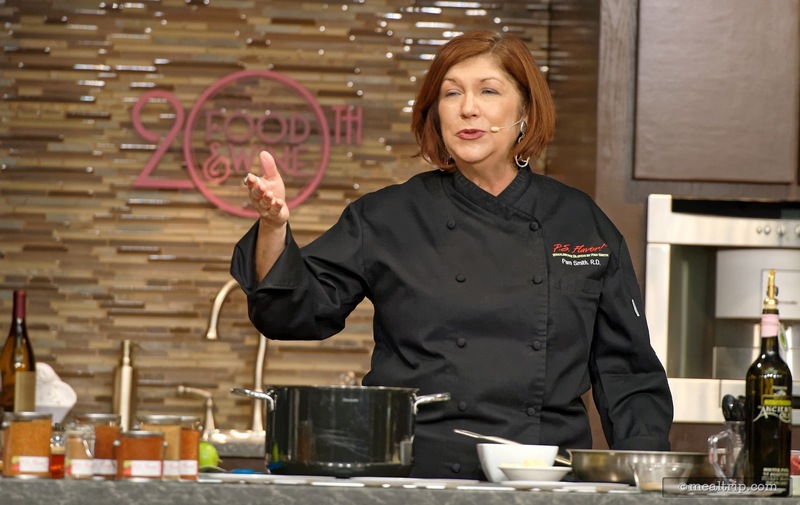 Pam Smith RDN putting the finishing touches on her dish at Epcot's International Food and Wine Festival. 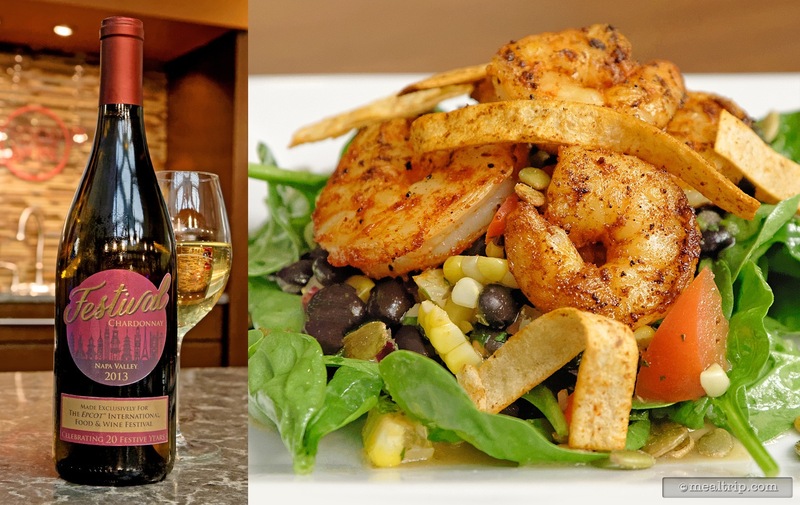 Pam Smith's Southwest Pan Seared Shrimp with Black Bean and Corn Salsa and Avocado Pico de Gallo was served with the new Festival Chardonnay. 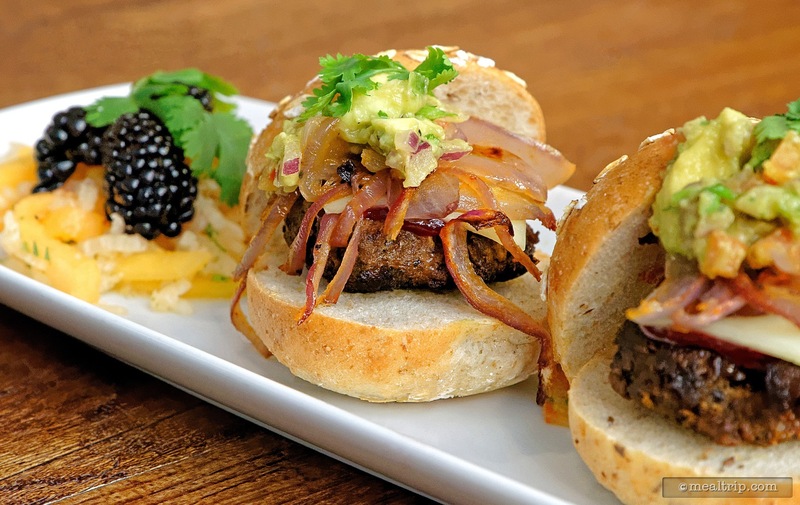 Pam Smith's Santa Fe Burgers with Charred Onions, Avocado Pico de Gallo, Blackberry Chipotle Ketchup and Melon Jicama Slaw. 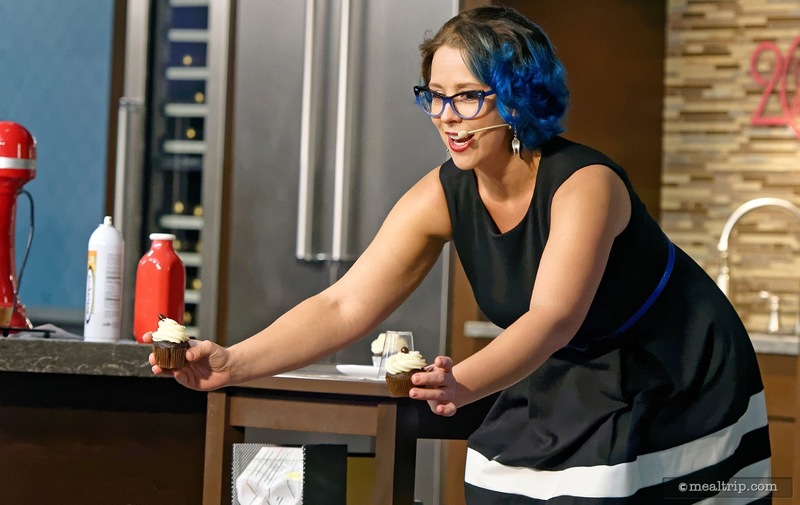 The always popular Emily Ellyn was sporting blue highlights for Epcot's 2015 Food and Wine Festival. 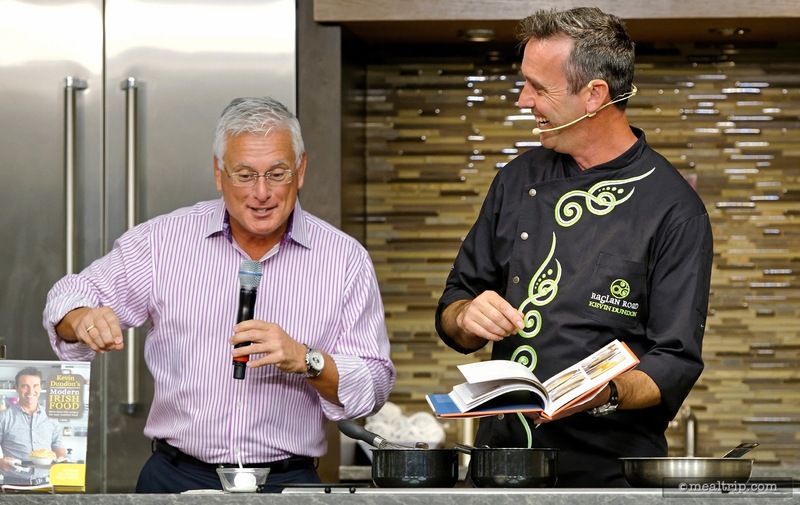 Chef Patrick Walley is a chef for Publix Super Markets, a popular south-east food store in America. 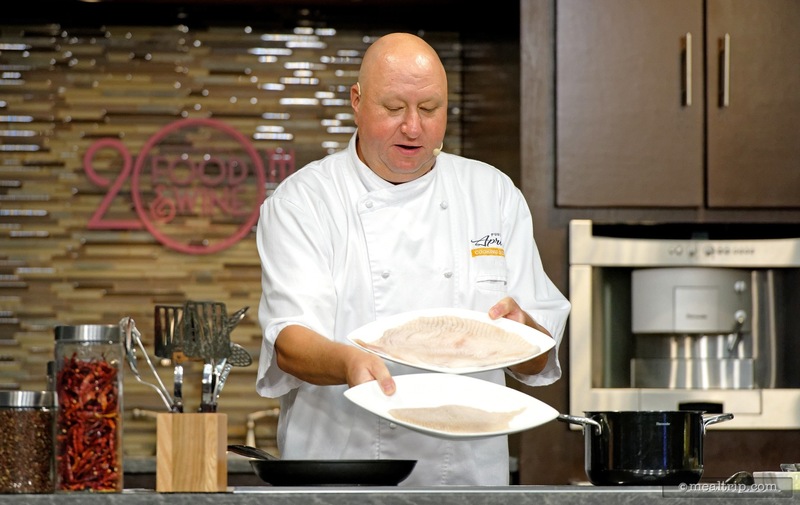 Chef Walley prepared Skate Wing Escabeche. 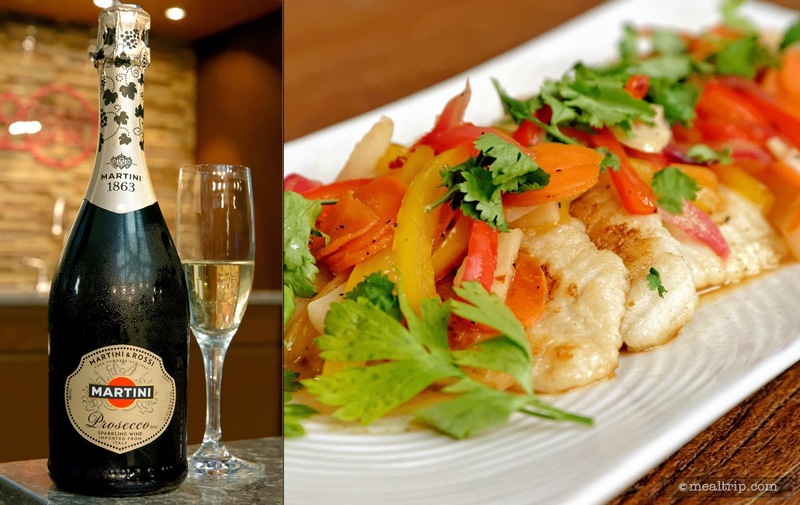 Chef Patrick Walley's Skate Wing Escabeche was paired with Martini and Rossi's Prosecco at a 2015 Culinary Demo during the Epcot International Food and Wine Festival. 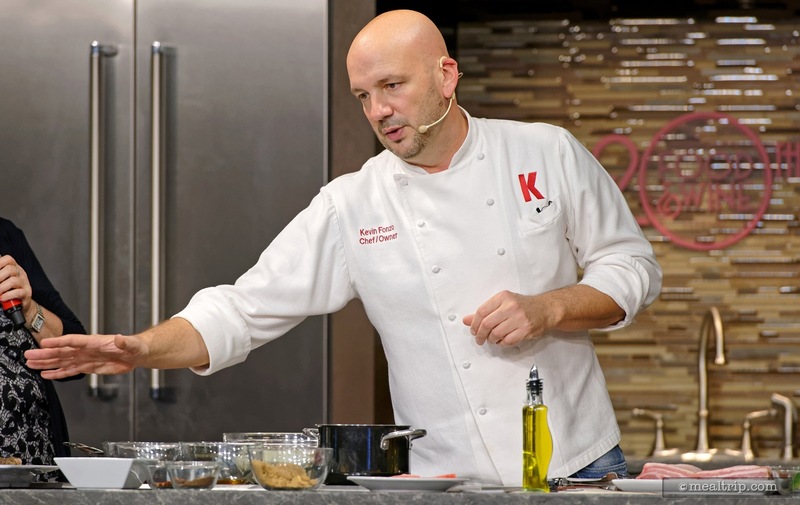 Central Florida Chef Kevin Fonzo at a 2015 Culinary Demo at Epcot's Food and Wine Festival. 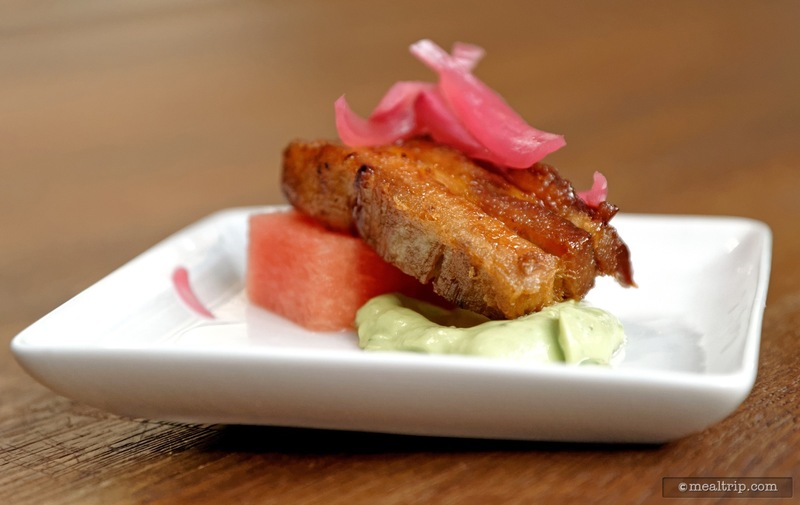 Chef Kevin Fonzo prepared this BBQ Pork Belly with Watermelon, Avocado Creme and Pickled Red Onion. 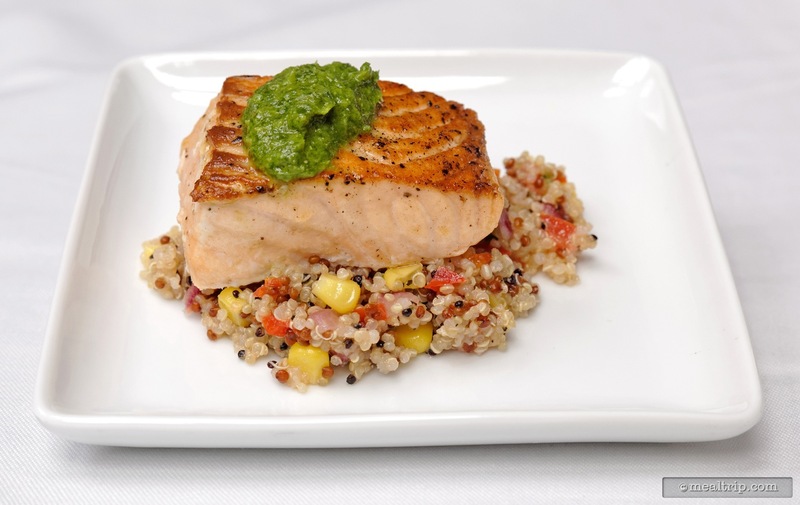 Executive Chef Gregg Hannon prepared a Verlasso® Salmon with Quinoa Salad and Arugula Chimichurri at a 2015 Culinary Demo. 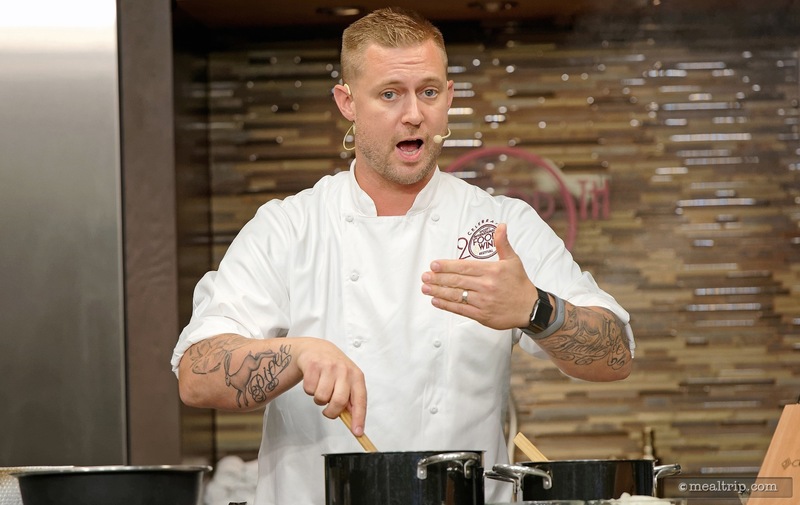 Festival Host and Executive Chef Gregg Hannon answer questions after a 2015 Culinary Demo at Epcot's International Food and Wine Festival.